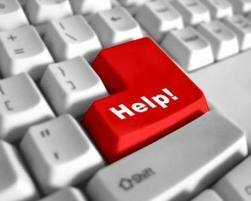 This Help box is for the newbie and for the professional PC user. Subscribe to the site to get automatic alerts as to what is posted. Print pages in PDF format with one mouse click. Obtain free anti-phishing and anti-virus software from Microsoft, AVG and Avast! Start a cloud-based email account that stays with you when you change your ISP provider. Find free software solutions for Post use. Obtain a free website hosted by WordPress.com for your Post that looks and feels just like the district site. There are many other theme-based designs to chose from. Purchase a dedicated domain name for your post for $15 or less a month.